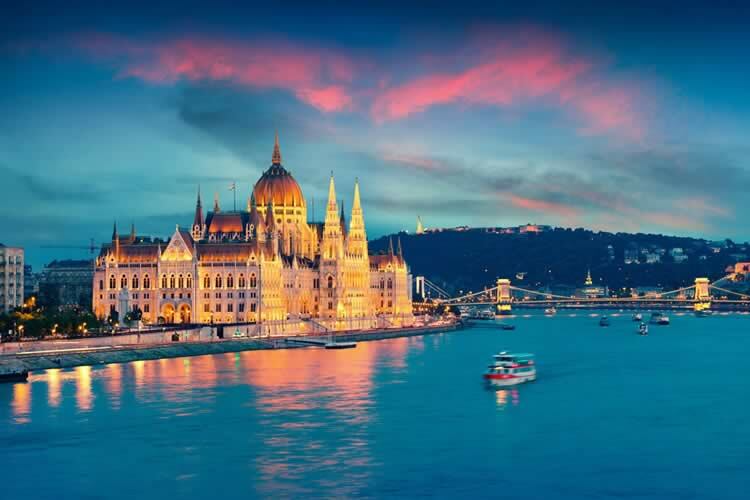 On this romantic lower Danube cruise Budapest is your destination, as you wind your way from Bucharest through the heart of Central Europe where East and West meet and intertwine in fascinating cultures and turbulent history... Glide past medieval monasteries, citadels and villages... Discover resort towns along Romania’s Black Sea Coast, explore an ancient Christian necropolis in Pecs, and visit "Dracula’s" castle in Transylvania... dine in the People’s Palace in Bucharest... share homemade refreshments in the home of a Croatian family rebuilding their lives in postwar Vukovar. Experience authentic local cuisine, music and dance, and a wealth of architectural wonders as you explore Hungary, Croatia, Serbia, Bulgaria and Romania, with nights on land at luxury hotels in the popular cities of Bucharest and Budapest (the Paris of Eastern Europe). Tour starts at 6:00 PM at the JW Marriott Bucharest Grand Hotel. A transfer is included from Bucharest Henri Coanda International Airport to the JW Marriott Bucharest Grand Hotel in the heart of the city, ideally located adjacent to Bucharest's monumental Palace of Parliament – the site of tonight's Tauck Exclusive, after-hours gala welcome reception and dinner, where you'll meet your fellow travellers and Tauck Directors to kick off this extraordinary lower Danube cruise in true Tauck Style. A choice of sightseeing today echoes the legacy of 15th-century Romanian prince Vlad Tepes (a.k.a. "Vlad the Impaler"), thought to be the historical model for Bram Stoker’s Dracula. You may choose to take a full-day excursion to Transylvania’s 14th-century Bran Castle, which Tepes once used as a fortress during his military campaigns; the excursion includes a brief walk and lunch in Brasov. Or you can opt for a trip to Targoviste to see the ruins of Tepes' palace, including its imposing watchtower, restored in the 19th century; you'll also visit the army barracks (now a museum) where Romanian dictator Nicolae Ceausescu was tried and executed in 1989. Your third option today is an excursion into the Carpathian Mountains and Transylvania for a visit to Peles Castle and Sinaia, with lunch at a local restaurant and a return to Bucharest for free time and dinner as you please. 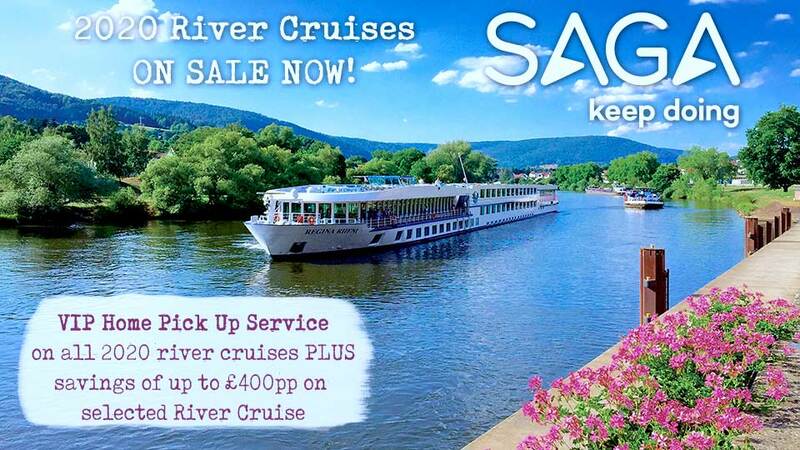 More choices in sightseeing – and the start of your lower Danube cruise – await you today. Before embarking your riverboat, you can choose to explore Bucharest with our local guides – seeing Revolution Square and the Triumphal Arch, and returning to the massive Palace of the Parliament, site of your welcome dinner and the world's second-largest building after the Pentagon, for a tour – then board your riverboat in Constanta. Or drive to Romania's popular Black Sea coast – first to the popular resort of Mamaia for lunch and some "beach time," then on to the port city of Constanta. Here, in what was originally the ancient Greek colony of Tomis, you'll view numerous Greek and Roman antiquities, an Art-Nouveau casino, and a monument to the Roman poet Ovid, who spent years in exile here, then board your riverboat in Constanta to launch your unforgettable Danube cruise. Your lower Danube cruise continues in Bulgaria; largely off limits during four centuries of Ottoman rule and decades behind the Iron Curtain, the country's rich natural beauty and history is yours to discover today. Disembark in Ruse – often referred to as “Little Vienna” for its Art-Nouveau homes, Austro-Hungarian architecture and lively cafés – for a choice of sightseeing today. You may join us for a guided walking tour of Ruse, or a lovely hike to the celebrated Rock Churches in the village of Ivanovo, whose stony chambers carved into steep, cliffside caves reveal stunning medieval frescoes inside; a visit is richly rewarding. Return to the riverboat for dinner this evening. There’s something special about just “kicking back” during a leisurely morning cruising the Danube, enjoying picture-perfect views of the passing landscapes. Onboard activities throughout your cruise, such as special lectures and presentations, cooking demonstrations or music and dance performances, are an important part of the Tauck river cruising experience. Today, after the riverboat arrives in Vidin, Bulgaria, join us for a walking tour of Vidin’s cobblestone streets, including a visit to Baba Vida fortress. On another relaxing day on your Danube cruise, sail along the Serbian / Romanian border, enjoying great views of the Transylvanian Alps. As you cruise, keep an eye out for a kingly face carved into the Danube's rocky bank on the Romanian side; it's a monument to the 2nd-century Dacian King Decebalus, who defended his kingdom from the invading Romans – and it's the tallest rock sculpture in Europe. Glide through Romania’s Kazan Narrows and the Iron Gate of the Danube, a spectacular two-mile-long series of gorges between the Carpathian and Balkan Mountains, en route to Serbia. Dock in Belgrade, Serbia’s eclectic, cosmopolitan capital at the juncture of the Danube and Sava rivers. You can choose to spend the morning touring the "New Belgrade" section of the city by bicycle with a local guide (you'll need to be comfortable riding a bicycle in a city environment); or join our local guides for a city tour that includes visits to Tito’s Memorial and the formidable Kalemegdan Fortress, and views of busy Slavija Square (now one of the city’s major squares, but once a large pool where residents hunted wild ducks! ), Parliament, Republic Square and City Hall. After lunch onboard, you have the afternoon free to spend as you please. Following onboard entertainment by Serbian performers during cocktail hour, you'll return to shore for this evening's sparkling Tauck Exclusive – dinner at the Royal White Palace of the Serbian Royal Family in Belgrade, built in the 1930s for members of the Yugoslavian royal family and set within the same complex as the Royal Palace of Dedinje, today home to HRH Crown Prince Alexander II of Serbia and his family. Your Danube cruise crosses the border from Serbia to Croatia and arrives in historic Vukovar. 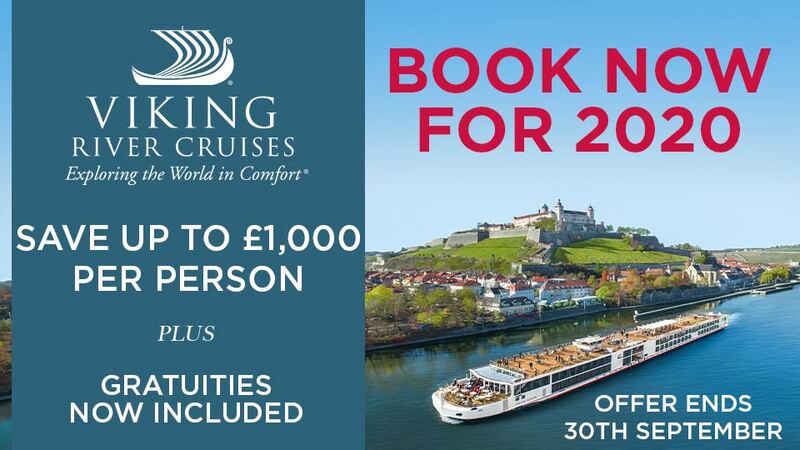 Preceded by an onboard lecture on Croatia's turbulent history by a local expert, your tour of this venerable 10th-century city – once showcasing opulent 18th-century Baroque mansions, but now a mix of old and new – poignantly symbolizes the effects of the 1990s war. Visit with a local family who have recently returned to resume their lives in the city after the conflict, as they share homemade refreshments with you in their private home. You'll have some time at leisure in Vukovar before the riverboat continues on to Hungary tonight. Arrive in Mohacs this morning for an excursion to Pecs and a tour of its 11th-century cathedral. Here you’ll also explore the fascinating Christian Necropolis, a complex dating back to the 4th century that includes underground burial chambers and chapels adorned with early Christian art and frescoes, a UNESCO World Heritage site. In the 19th century, Pecs was famous worldwide for the exquisite Zsolnay porcelain manufactured here, and your visit includes a stop at the Zsolnay Museum for a look at its stunning examples of Art Nouveau stoneware, tiles and pottery. Visit a winery in Villány for lunch (this region is renowned for its red wines) then return to Mohacs. Tonight, attend the ship's farewell cocktail reception and dinner as your Danube cruise draws to a close. Bid your Danube cruise – along with your captain and crew – farewell as you disembark the riverboat in Budapest. Your exploration of the Hungarian capital, once the independent cities of Buda and Pest, begins in Pest with a visit to St. Stephen’s Basilica, the city’s neo-Renaissance cathedral, and continues with views of Heroes’ Square, bounded by some of the finest architectural works in Hungary, and such Budapest treasures as City Park and tree-lined Andrassy Avenue. When possible, visit the Parliament building, a neo-Gothic architectural masterpiece. Stop to browse at Central Market Hall before checking into your hotel; the rest of the day and evening is at your leisure in Budapest. Today, you can choose to spend the morning touring Budapest by bicycle with a local guide (you'll need to be comfortable riding a bicycle in a city environment). Or you can do some sightseeing in Castle Hill, a UNESCO World Heritage Site, where a guided walking tour introduces architectural landmarks such as well-known Fisherman's Bastion. Revisit Budapest's World War II and Cold War days at the Sziklakórház ("Hospital in the Rock"), a re-creation of underground military medical and facilities in a former secret bunker and hospital hidden below Buda Castle. After time to explore this fascinating city as you please (or, if you wish, visit Dohany Synagogue with a Tauck Director), we invite you to join us at this evening's farewell reception and dinner at the Festetics Palace in Budapest. Your lower Danube cruise tour ends in Budapest, Hungary. Fly home anytime; a transfer is included from The Ritz-Carlton, Budapest to Budapest Ferenc Liszt International Airport and Budapest-Keleti Station. Allow 3 hours for departure flight check-in. All private Tauck shore excursions – £820 Value!